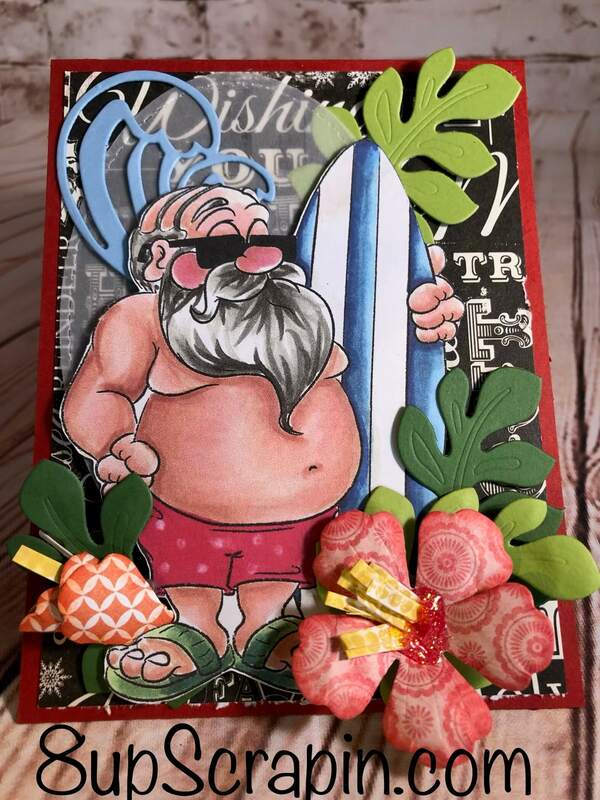 It’s Crystal here and today I am using Surfin’ Santa from Dr.Digi’s House of Stamps to make my card. 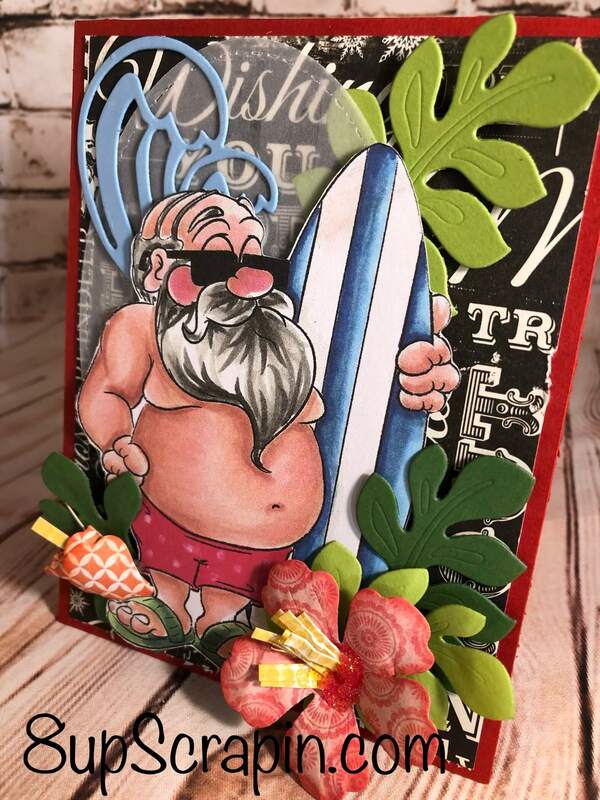 I made this card tropical all the way for my friends that live in warmer climates at Christmas , non traditional Christmas cards allow you to cut lose no rules just fun !!! 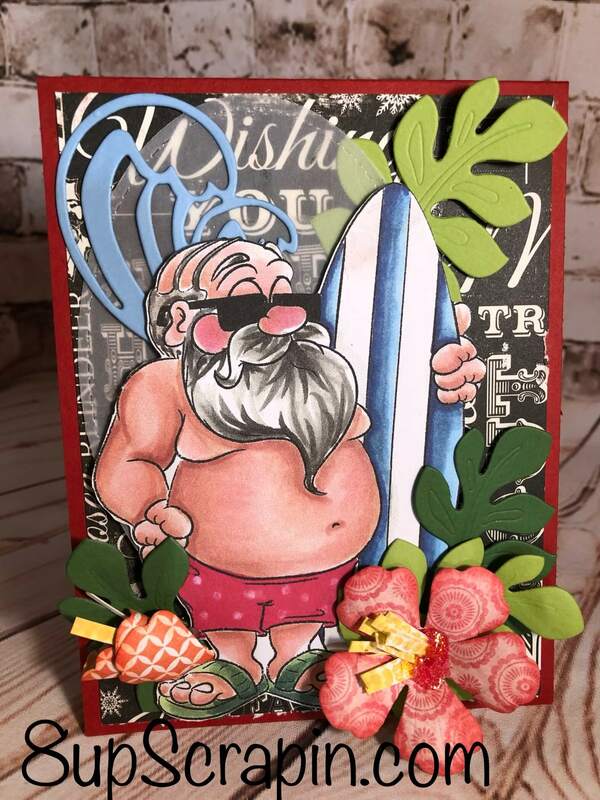 my image was copic colored and cut out with my Brother ScanNcut , i added a vellum layer under hime to make is pop from the designer paper , I added some die cuts from my stash and made a tropical handmade flowers and leaves , so fun to create this one …. 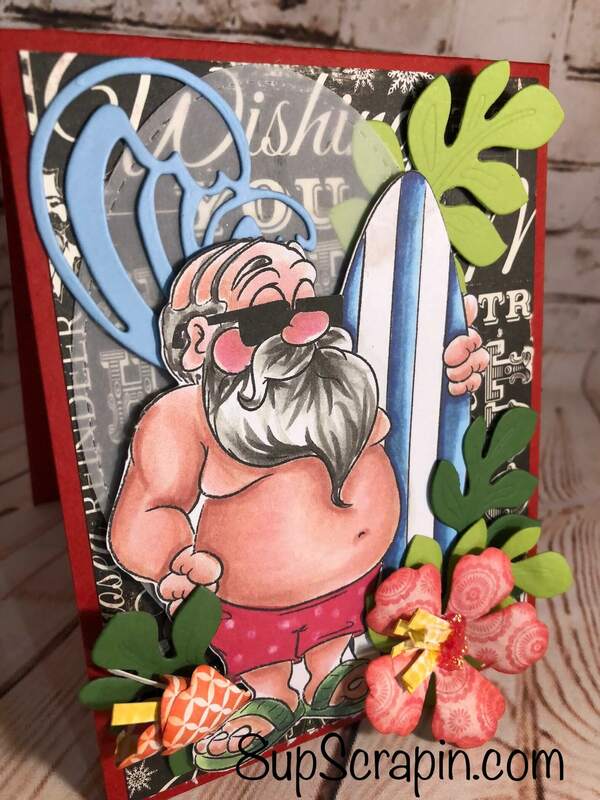 for this image and many more check out Dr. Digi’s House of stamps .